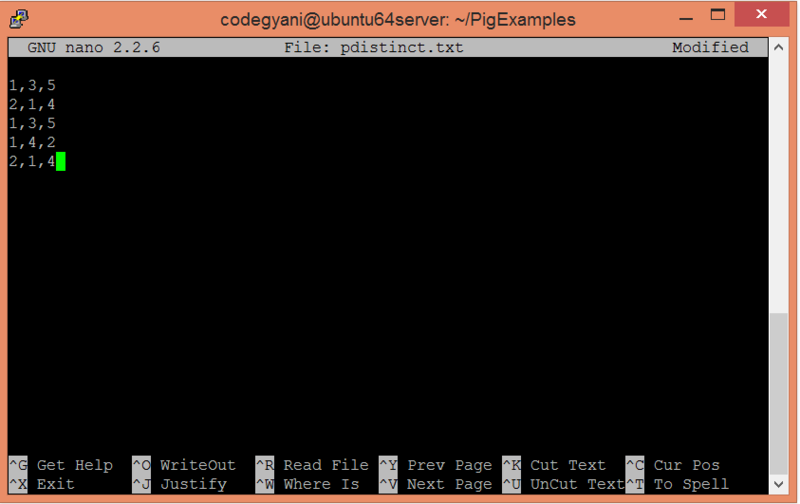 The Apache Pig DISTINCT operator is used to remove duplicate tuples in a relation. 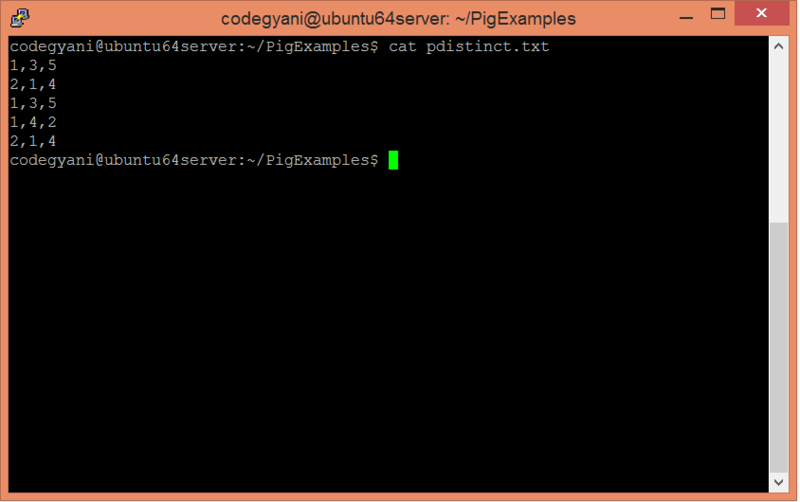 Initially, Pig sorts the given data and then eliminates duplicates. In this example, we eliminate the duplicate tuples. Let's execute DISTINCT operator to eliminate duplicate tuples.